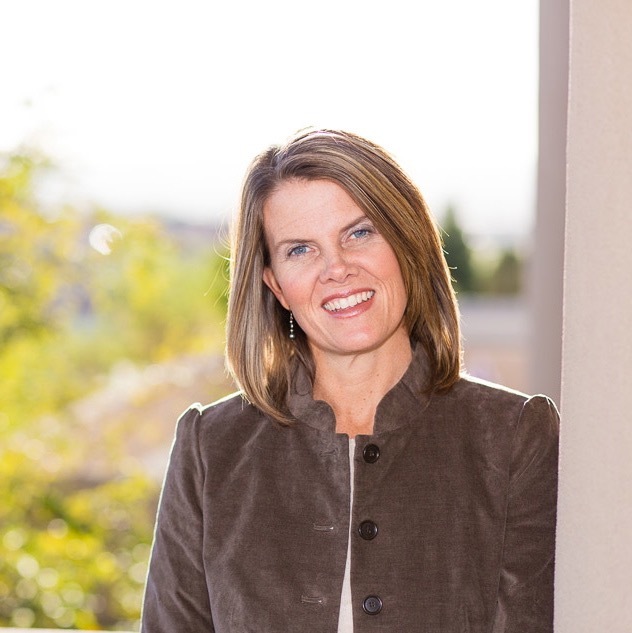 Last year, as I was finalizing plans for my book release, working harder than ever to balance work demands and family needs, I went through a very dark, personal trial. I prayed every way I knew how, and confided in a handful of trusted friends asking for prayer. I made inquiries and sought the proper authorities for help. I thought I was handling it. And then one day in workout class, I broke down in tears. I suppose it’s only natural that my stress would manifest itself eventually in that way, but I didn’t expect it. And I wasn’t prepared to talk about it. I had been trying to keep it private, knowing sometimes people say the wrong thing and make it worse. And I didn’t have margin for worse. I was pretty much barely keeping things together as it was. That day after class my friends noticed my tears. So I decided to trust them with the reality of my situation. And then I learned all over again what anyone who has faced a hardship or trial knows: people aren’t always great at knowing what to do or say in those situations. I was familiar with this concept because I already faced a “decade of hardship” wherein I was on eleven weeks of bed rest during pregnancy, had four back surgeries in six years, and walked through terminal illness with three close family and friends in as many years. I learned a thing or two in the trenches of my own trials. But I learned even more from my bird’s eye view of others’ difficulties, as I witnessed both the beauty and challenge of loving another well in the face of life’s greatest difficulties. Love God and love others—this is the sum total of a Christian’s expression of faith. Yes, most of us know we ought to love our neighbor, but if we are brave enough to admit it, we don’t actually understand how. 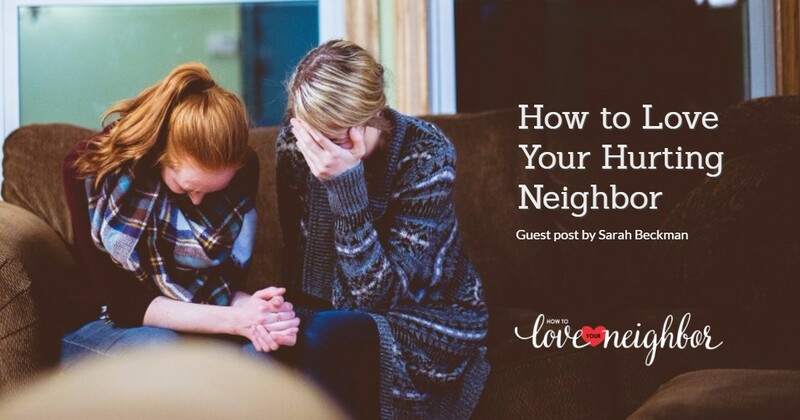 Loving our neighbor is a task that can be daunting, confusing, scary and vulnerable. But wholly living out our faith hinges on these two commands. That’s why I believe reaching out to help others in their hardest circumstances is more than just “doing the right thing.” It’s our God-given responsibility. And I’d love to see us do better. To love and express our concern and support in more effective ways, instead of making things worse or doing nothing at all. Jesus simple directive to “love our neighbor” can be expressed in many different forms. But no matter the expression, love is the essential ingredient. When your friend or loved one is facing a crisis, listening is one of the most valuable things you can do to support them. But listening isn’t always easy, and many people don’t do it right. Early on in my most recent crisis, I fell prey to one close friend’s judgment when I confided in her. I’m sure she didn’t think before blurting out her thoughts about my current situation. But her words made me feel as if I had done something wrong. They cut to my core. I know it’s wise to be careful how you act, but if someone wants to hurt you they don’t need permission to do so. I was the victim, and it’s not my fault there are evil people in the world. What I needed was my friend’s quiet concern and support. But her thoughtless words made a stressful, challenging time even harder for me. When we listen without judgment (spoken or unspoken) we will know how to come alongside in a way that’s filled with love. During my hard time last year, a friend made a comparison of my situation to something similar that happened to her. However, her comparison was like apples and bananas—the only thing our situations had in common was they were “fruit.” But they looked and tasted nothing like each other! When we mistake comparison as empathy it derails our efforts to listen effectively and it makes it about you, not the person you want to support. Anything you do to take the focus off me and what I’m feeling at the time is unhelpful. When we listen attentively, not interjecting our similar thoughts and experiences, we validate our friend’s feelings and lessen their burden in that moment. The book of Job tells the story of how Job lost everything—his family, his livelihood, his wealth, his health. During his profound pain and mourning, his three friends traveled a vast distance to be with him. For seven days, they sat with Job and participated with him in his pain. 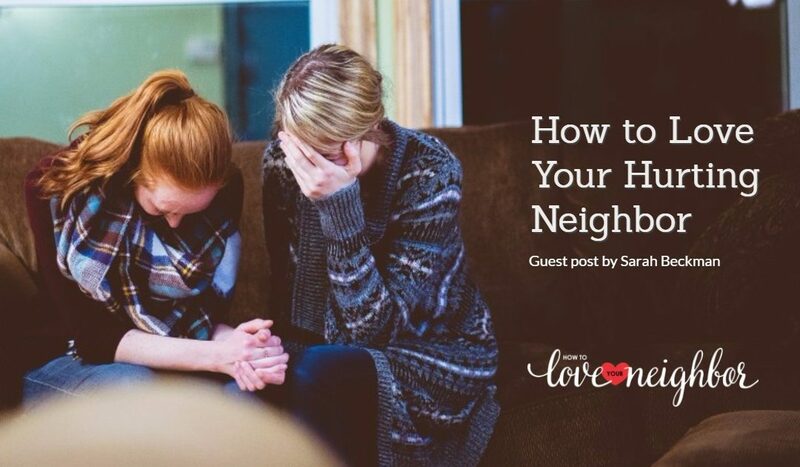 When your “neighbor” is in a dire crisis, your presence can be enough. The one who shows up stands out! We don’t have to fix their predicament, but we can sit with them and show our support with our presence. 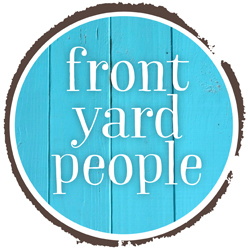 Loving our neighbor allows us to be part of the physical, human illustration of God’s power. We are meant to help, heal, minister to, and love someone for His sake. And in the midst of brokenness, there’s no better time to love than the present. Win a copy of Sarah’s new book! 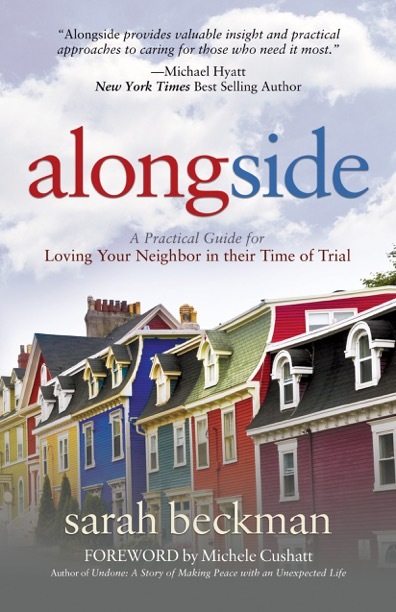 You can find more practical ways to walk with friends or family through the rough patches of life in Sarah Beckman’s new book, available at your favorite bookseller or www.alongsidebook.com. Leave a comment below to be entered to win a copy of Alongside: A Practical Guide for Loving Your Neighbor in Their Time of Trial! I feel that I could use advice on how to love others better through their times of crises. The older I get the more people around me are in need of positive support. Thank you for the opportunity to win a copy of Sarah’s book. Sadly, it does seem that this skill becomes more necessary the older we get. Thanks for commenting! Cindy! You are our book winner! Please message me at baileyhurley13@gmail.com to get your contact information. Thank you very much! I just sent my mailing address to you. Blessings! You’re right! The neighbors we don’t know may be the loneliest, they may not have anyone who knows them. This is especially true among the elderly. Sarah shared great advice. The two “listening” paragraphs were especially good. That takes the pressure off of thinking we always have to “say the right thing”. Just be there to listen many times can be enough. You ARE keepin’ on, aren’t you? Love what you’ve done in your neighborhood!